We moved into a new home about two years ago, and we’ve been slowly renovating one room at a time, tackling the most pressing “issues” first. Updating the kitchen is next on the list and I can’t wait to undertake this project. 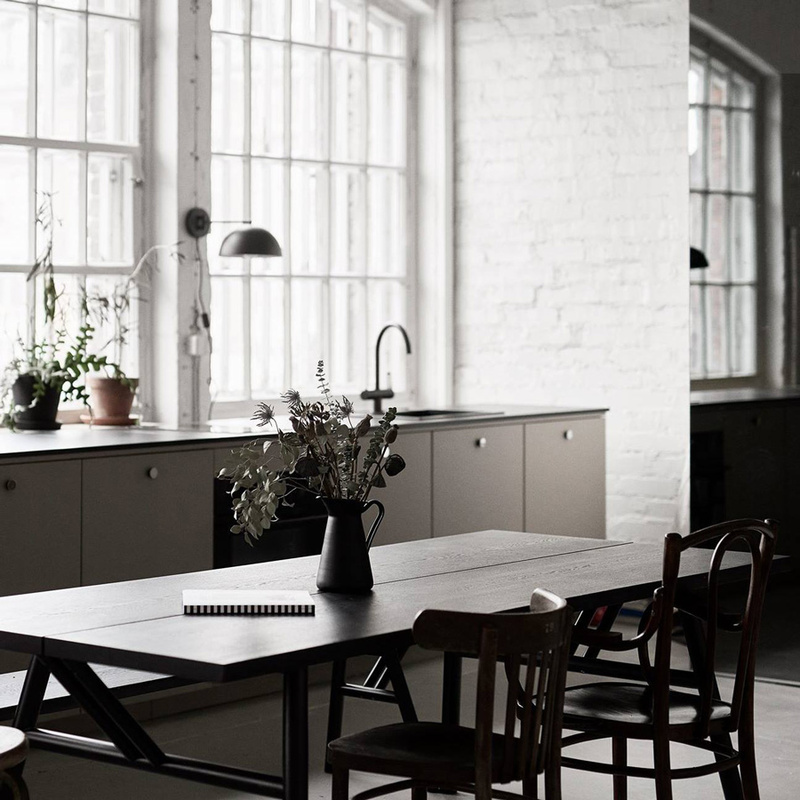 While browsing for inspiration, I came across this kitchen on Riikka Kantinkoski’s blog, Weekday Carnival. 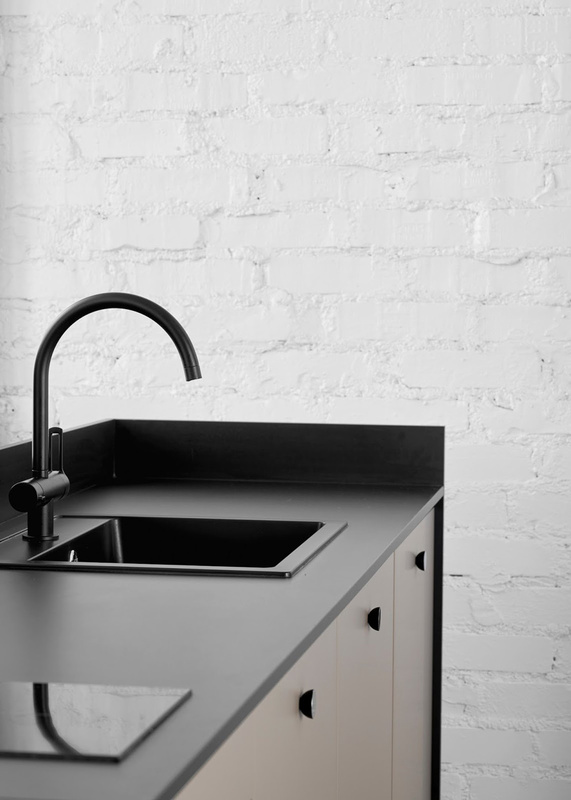 She shared pics of Studio Roscoe, a rental photo studio in Helsinki, and this is the kitchen she designed in collaboration with interior architect Laura Räihä. Seriously, if you would have told me five years ago that I’d consider buying beige cabinet fronts, I would have laughed out loud. And now, looking at these pics, I am taken aback. I am in loooove with the combination of black with that warm sand shade, both contrasting beautifully with the crisp white wall. It is gorgeous. 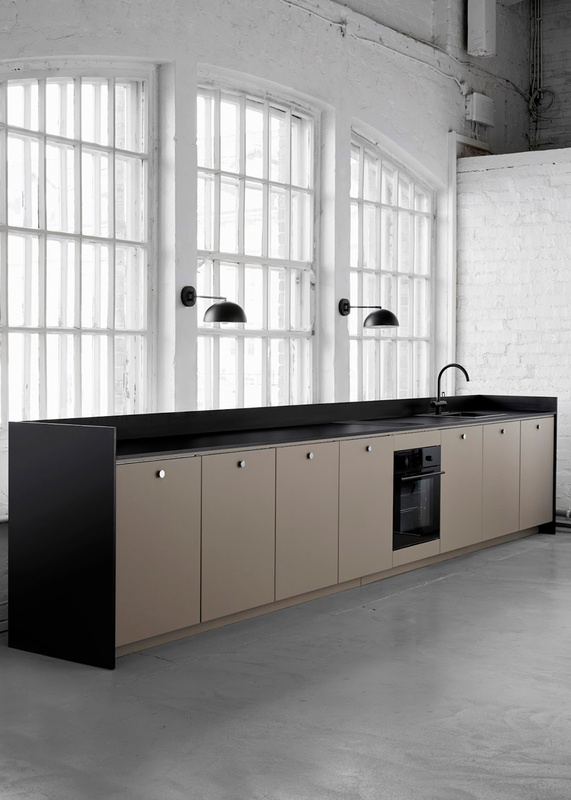 Riikka explains that the kitchen had couldn’t be positioned against the wall because of a radiator, so they came up with this freestanding design and added a frame that surrounds the cabinets. Not only is it functional, but I find that it totally elevates the look. And guess what? It is (mostly) all from IKEA! 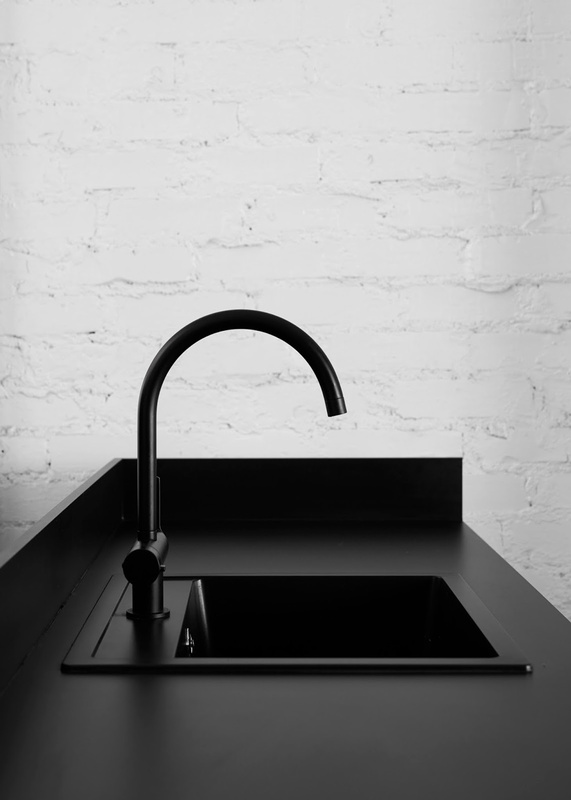 For a similar black faucet, check out this one or this one. 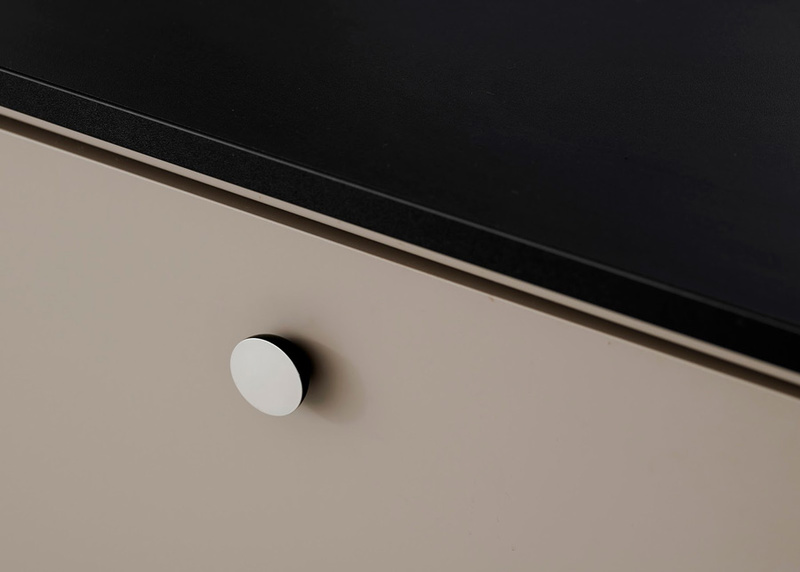 The handles are by Superfront. Wow! Ikea has really upped its game. This kitchen is a stunner. I’m not sure why you are so worried that the fronts are only available in Europe. A similar style seems easy to get – spray paint them the warm sand shade. Farrow and Ball has a very similar shade.